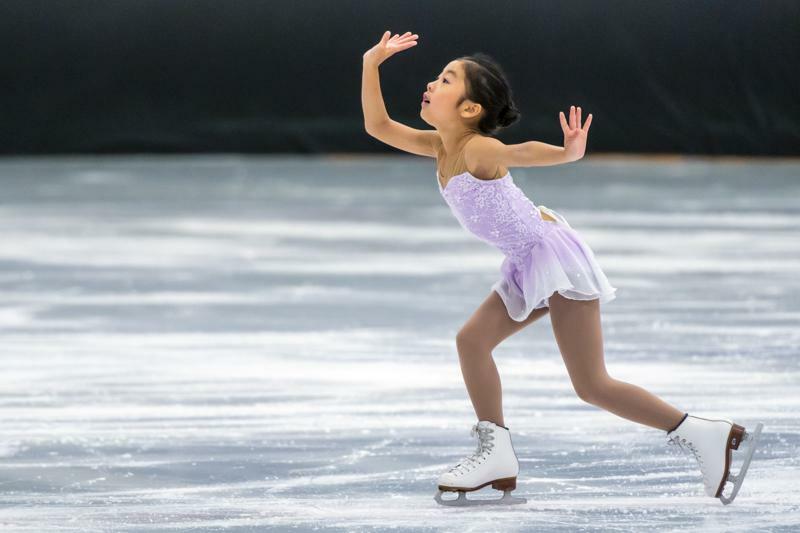 TSC offers a complete program of activities for beginner skaters to elite and Olympic athletes. Whatever your level or interest, our goal is to make your skating experience a success. The Skating Department and its professional staff share a love of skating and an unmatched standard of quality. Accompanying a wealth of expertise is a genuine caring for each skater and his or her individual needs. The Toyota Sports Center offers Learn to Skate and Learn to Play Hockey classes throughout the year. These classes are designed to teach the fundamentals of skating so individuals can continue on as a hockey player, figure skater or recreational skater. The primary program goal is for every skater to correctly learn all the skills introduced in a level before advancing to the next level. If your child is ages 3-4 and has never skated, this is the starting point. Beach Baby classes are based on the ISI weSkate Program. Beach Babies are Parent and Me format. Children learn a little bit of skating while having fun. Children will advance through Tot levels 1-4 with each level gradually becoming more challenging. Proper way to fall and get up. Freestyle classes focus on more advance Learn to Skate skills including jumping, spinning and gliding maneuvers. The primary program goal is for every skater to correctly learn all the skills introduced in a level before advancing to the next level. Our advanced and specialty classes are designed to expand your skating skills and focus on specific aspects of skating. These classes are a great way to improve and build upon your skating foundation and explore intricate and more creative pathways of the skating.